Share this product and receive a $16.20 sharing discount. 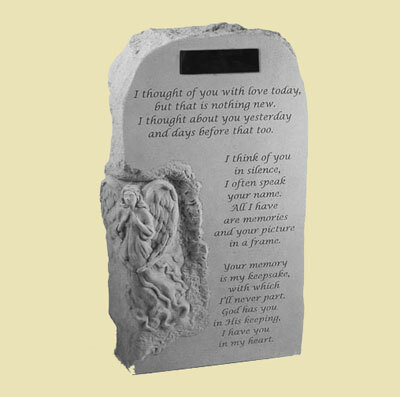 This is angel garden oblisk was designed by nationally known artist, Pam Ballard. This statuary features a unique texture with a hand chiseled appearance. 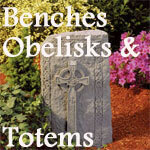 Each remembrance garden oblisk is handmade in the USA. Dimensions: 23" x 13.5" x 5"